On Second Scoop: Ice Cream Reviews: One More Haagen-Dazs Artisan Collection Flavor? 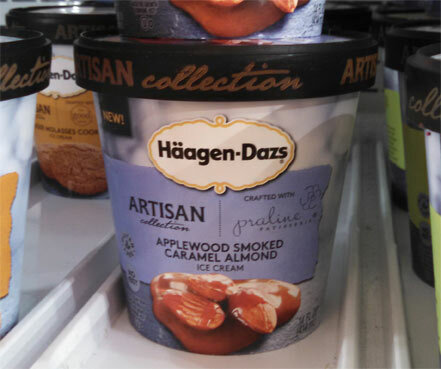 One More Haagen-Dazs Artisan Collection Flavor? Ok, I'm a little confused, I thought this was supposed to be a regional thing, which I took as "not in my area". Guess I was wrong. Keep your eyes peeled and let's see if we can figure out what "region" this is selling in. I'm in central Mass, so let's see how far it spreads from there. Just leave a comment of where you've seen it. Now I'll admit, Friendly's has been cranking out so many different flavors that I don't even bother posting all the pictures we collect, but pineapple bits in the strawberry side? That's just silly. [Note: Pineapples are a part of their in-store royal banana split, but I find it amusing that they took the time to shove them in to this form factor]. These technically came out at the end of 2014, it's the S'mores version that is new for 2015. I'm not sure when we'll actually get to review these but know that I think about them often.... I'll probably pick them up once the weather gets a bit nicer so I can enjoy them outside. Nothing like a drumstick on a nice warm spring or summer day. The Applewood flavor is in Chicago. I was surprised and excited, too! @D: ok, had a feeling, i added a note. 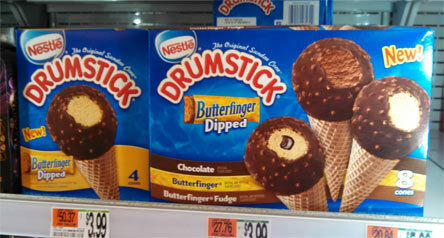 I thought the Butterfinger dipped Drumsticks were fantastic! Can't wait to try the new S'mores variety. 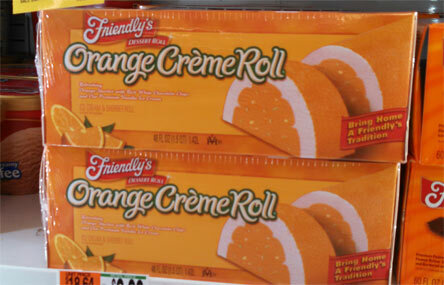 I'm in northern CT and I can't remember if I saw it in a store or have just seen pics of it on the internet. I'm in Virginia and so far I've only seen Tres Leches Brigadeiro, Spiced Pecan and Ginger Molasses cookie. So I just had the HD Applewood smoked almond ice cream...very, very good, but rich. Friendlys watermelon roll is the best ever. 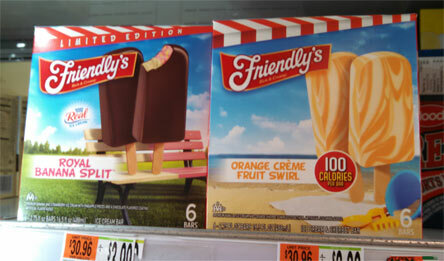 If somebody works at friendlys hq get that thing available nationwide! @ibagoalie: how was the smoke factor? complimentary instead of overriding? Thanks! I saw the smoked caramel flavor today at my Shoprite here in NJ! Although I picked the banana rum jam over it..
Want to find any Artisan flavors of Haagan Daas in Houston, Cypress, or Tomball, Texas! Have checked in most all my neighborhood stores & can't find it!